Mamma hadn't realised it snowed at Fountain Gate, but it seems that for the first half of the school holidays IT IS at the BIG FREEZE FESTIVAL! 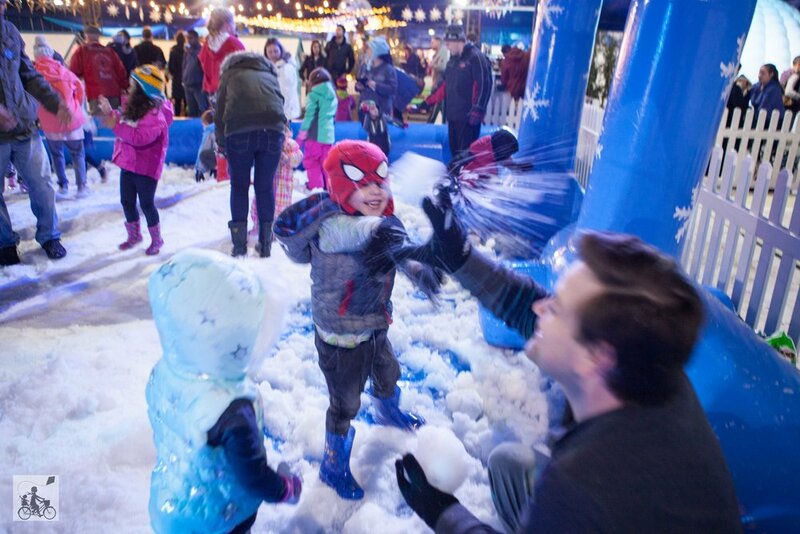 The Big Freeze has launched with real snow pits, a massive snow dome, kids craft activities and more. The festival is all INDOOR event including this year a Free Community Precinct Tent. You even get to travel through a giant igloo to get into the place! There will be snow ball challenges, brand new snow slides, live performances, construction zones and even circus fun! You will travel through the snow village and walk through some with magical snow (the foam variety) gently falling from the sky! But of course, the main attraction HAS to be the SNOW! Snow pit sessions are unlimited this year and gives the little ones plenty of time to learn how to make a snow ball, throw it at Mamma, fill their bucket and generally have a great time. If they are old enough to realise the importance of gloves when playing in the snow, you will have a hard time getting them out of the pit. The snow is made from the same machines they use up at the alpine resorts so there is bound to be plenty of fun. The Big Freeze festival is a great option if you are not keen on spending hours in the car to get up the hills or have stacks of snow gear. Waterproof pants, a beanie, a jacket, some gumboots and maybe try the gloves - you are all set! No need for heaps of snow gear and hours of travel to get there. Mamma's special mention: For all sessions you will need to BOOK your session for the day you wish to attend. They will fill up quick so book your session today! Do you want more? Each child’s ticket also includes entry to (1) The Big Freeze Festival, (2) Penguin Parade, (3) Antarctic Journey, (4) Churchill Island Heritage Farm and (5) Koala Conservation Centre.